When I read the following article http://www.wisn.com/news/21778403/detail.html I can’t say I was very surprised about young men and women being inspired to defend their country. This was also the case post 9/11; many chose to serve as their way of giving back. It is the last sentence of the article that is interesting and might have been brushed off by readers. 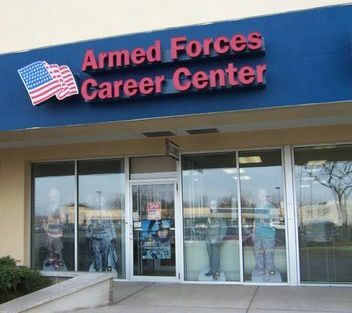 The military is well aware of the predicted shrinking workforce. I recently attended a briefing between military and business leaders that focused on this issue. The youth of America will increasingly be unable to contribute to society as a productive member and will become a greater liability as a shrinking workforce has to provide the money to pay for the entitlements of the obese, drug addicted, and uneducated. Unfortunately our government is being forced to create government programs to attack symptoms of a greater problem, parental deliquency and neglect. Removing faith, values, and principles from our society has been the catalyst of this decline. This entry was posted on December 2, 2009 by majastevanovich in Military and Troops News, Military Recruiting and Marketing Strategy and tagged 9/11, Air Force, Army, Coast Guard, Marines, Military Recruiters, Military Service, Navy, ROTC, Youth.